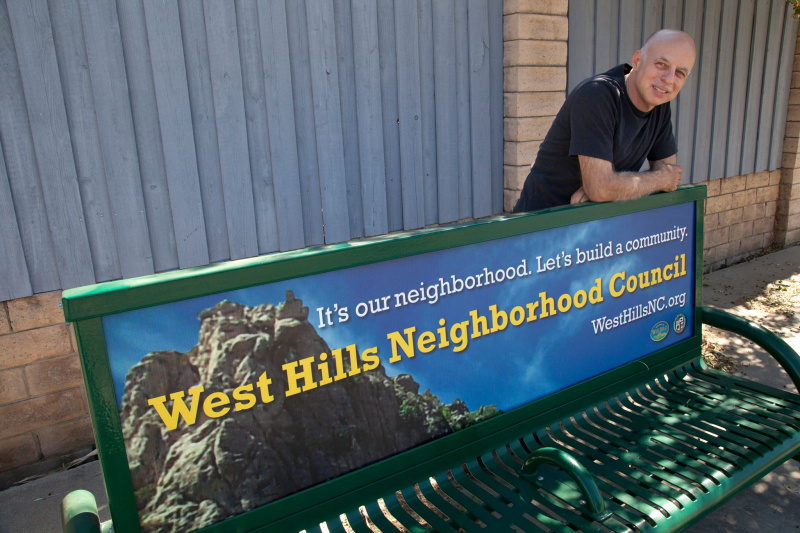 Note: The West Hills Neighborhood Council celebrated its 15th anniversary on Jan. 22. The following commemorative article by WHNC President Dan Brin first appeared in the online publication CityWatch. To our 40,000 residents, West Hills is “here,” a scenic corner of the San Fernando Valley with wonderful schools, relatively little crime and pleasant parks. But to a lot of folks who live in the interior of the city of Los Angeles, we are “somewhere out there,” lodged on a distant precipice on the edge of the world. One of our tasks as a Neighborhood Council is to overcome these slights and build a citywide reputation as a strong community. We still have a way to go, but at the risk of sounding immodest, I think we are making good progress. Oh, to hell with modesty. In its 15 years, the West Hills Neighborhood Council has led our community through a fundamental change in self-perception. Where we once had no particular idea of who we were, we have built a sense of West Hills-ness to the point where anything seems possible. The seeds of this change were planted 15 years ago on Jan. 22, 2002, when a group of intrepid pioneers incorporated as the first Neighborhood Council in the Valley and the fourth in the city. Chuck Gremer, leader of the West Hills Property Owners Association, became the first president of the West Hills Neighborhood Council. Four of the original 25 board members still serve. I appeared on the scene almost two years later, joining the board in November of 2013. There were 13 candidates for 13 positions and about 35 people voted, so my election was never in doubt. Chuck and the others in leadership had their challenges. They did their best, but I had the sense that the entire Neighborhood Council system was in chaos. Few were even aware of the Ralph M. Brown “Open Government” Act, and fewer still were knowledgeable of its arcane and sometimes nonsensical interpretations. Committees met in the homes of board members with no public notice. Several committees didn’t meet at all. Our treasurer launched into his monthly reports with angry attacks on the Department of Neighborhood Empowerment, which seemed incapable of paying its bills or delivering the funds that were promised for our operations. At one point, the board threatened to disband if the city didn’t deliver on its funding obligations. Nevertheless, the West Hills Neighborhood Council worked on several fronts to build community pride and volunteerism. Working with the local Chamber of Commerce, we organized successful annual Fall Festivals, which continue to this day. We built relationships with city agencies and connected our stakeholders with them. We began a decade-long process to design and erect signs to post at major entry points to our neighborhood. And as awareness of our existence increased, turnout in elections increased as well. After Chuck retired, we were served by two excellent presidents, Ed Youngblood and Steve Lenske. During this period, we launched an ad hoc committee to explore possible environmental risks for building homes in Dayton Canyon (this was the genesis of our current Environment Committee). We also teamed with a local church and Shadow Ranch Park to create one of the largest annual community events in the Valley: the Eggstravaganza/Emergency Preparedness & Safety Fair, which recently has been (mercifully) renamed Spring Fest. Also during this time, we brought heads of city agencies and other speakers to our monthly Neighborhood Council meetings, generating higher community turnout and informing the public about civic issues. All of these developments had a cumulative effect. By the time I was first elected president in 2012, our Neighborhood Council was primed to move into full gear. Today I am proud to work with a board of workaholics that is second to none in the city. Our agendas are posted on time and our committee meetings are filled with enthusiastic and passionate members and stakeholders. Meeting a quorum is never a problem. • Our Beautification Committee organizes monthly Community Cleanups that attract dozens, scores and even hundreds of volunteer weed-pullers and sidewalk-sweepers who are making West Hills an inspiration for neighborhoods across the city. In a presentation at City Hall on Jan. 14, the city recognized our work with a grant through its Clean Streets L.A. Challenge. • Slowly and incrementally, we have built a communications program that again is second to none. Its elements include a sophisticated social media effort, a professional-quality monthly email newsletter, an excruciatingly comprehensive weekly community calendar, a well-maintained website, banners, flyers, bus bench ads and more. • A special committee is making meaningful process toward establishing a community center and senior center for West Hills and surrounding communities. • Through the leadership of our Homelessness Committee, we have made grants to relief agencies, funded meals for disadvantaged families through schools and provided referrals to homeless individuals. We had a large turnout from West Hills at the coming citywide Homelessness Count on Jan. 24. • We have designed a Emergency Preparedness Plan, developed a Map Your Neighborhood emergency response program and purchased kits for block leaders. Our Spring Fest continues to attract thousands of visitors every year to learn about public safety and how to plan for disasters. • We are arranging purchase of a large storage container to hold our growing collection of cleanup tools, promotional items, audio equipment and more. • Our Youth & Education Committee has organized an annual program of awards for teachers and support staff at West Hills schools. The WHNC also provides Community Purpose Grants to fund specific projects at the schools. • Our Zoning & Planning Committee has a successful record of working with stakeholders and developers to keep projects at sustainable levels and with design standards that are appropriate for their surroundings. • Our liaisons have a prominent role in the Neighborhood Council Budget Advocates, the Valley Alliance of Neighborhood Councils and other coalitions. We have a warm and productive relationship with the Neighborhood Councils of Canoga Park and Woodland Hills-Warner Center, as well as Councilmember Mitchell Englander’s staff at Council District 12. It’s a big agenda, but as I said, we have a board of workaholics, as well as stakeholders who fully share our passion for making West Hills an even better place than it already is. We still get the cold shoulder from the L.A. Times and our junk mail is still addressed incorrectly, but fortunately we have the Los Angeles Daily News, which does a fantastic job of covering our community. And, as I have pointed out before, we are rapidly earning the respect of other communities, as well as the city’s political and managerial elites. West Hills is definitely “here,” and this fact is becoming impossible to ignore. As we celebrate our 15th anniversary, the West Hills Neighborhood Council celebrates its past while planning for the future with a “can-do” attitude along with our sister Neighborhood Councils in the Valley and elsewhere in the city.